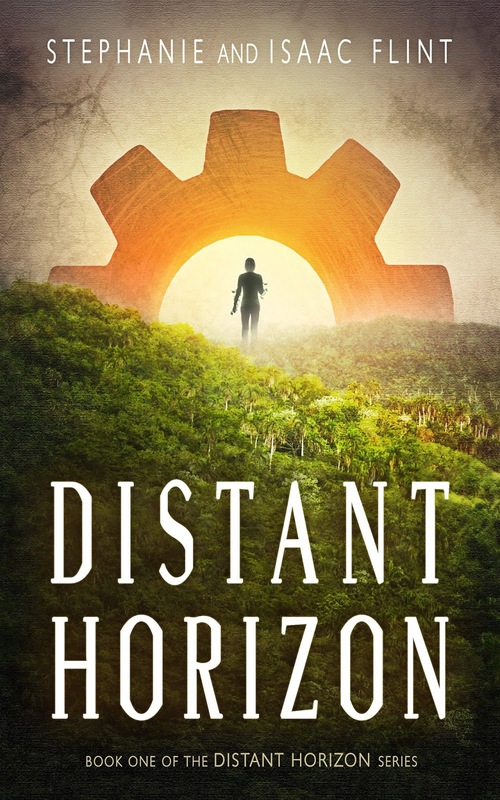 Distant Horizon by Stephanie and Isaac Flint. Audience/Genre: Young Adult, Dystopia with superhero elements. Publication: October 27th 2016 by Infinitas Publishing. There was a fifteen minute break between classes. Since the two buildings were right next to each other, that was plenty of time for me to browse EYEnet. My primary question regarded the old man’s warning that I’d fail the scan. I focused on the blog from my friend in high school—the one whose sister failed. According to Galina’s posts, she’d been afraid of failure early on, and on the day of the Health Scan, she’d made another post reiterating the same fear. She’d been having hallucinations that liquids would shape themselves from images in her thoughts, and she was sure she had theophrenia. It’d been almost a year since Galina left, but I wasn’t sure how long the recovery effort lasted. I checked the last active day she was on her account. There was nothing since the day of her scan. I checked other blogs, searching for any references to fear of failure. One girl thought she could fly. Another guy swore he could read his professor’s mind. All signs of advanced delusions, and in each case, they didn’t return. Three years passed. Five. Nothing. A chill ran through me. The old man said to try controlling vines and grass. That was crazy. Impossible. And yet… I’d felt that stem move. I’d seen it move. My phone chimed a one-minute warning before class. Students stirred and finished their conversations, and I stared at the small screen of my phone. Only one person, out of the entirety of blogs I’d found, had ever come back.